An instant classic! 420 denier nylon with durable construction. 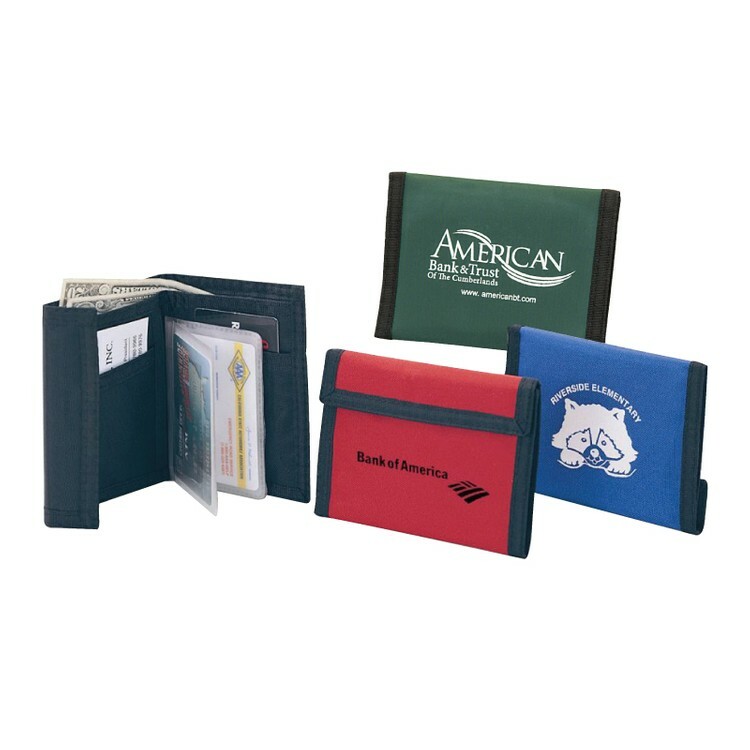 Comes with currency slot, three pockets, coin pocket with hook and loop and removable plastic card sleeves. Imprint Area: 3" x 1 1/4"